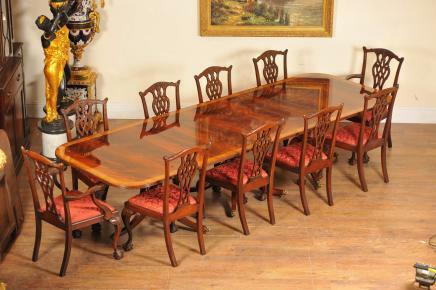 A Regency style pedestal dining table which is extendable and a set of 10 chairs. A satinwood trim looks great to the perimeter. 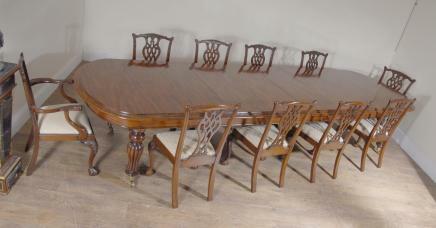 When fully extended with the leaves, the table can be 10 feet longer. Made in England, the set combines royal feel and traditional look. Chairs with swag back splat include two arm chairs and eight side chairs. Have a look at our showroom in Hertfordshire, just 25 minutes north of London. Shipping available across the globe. 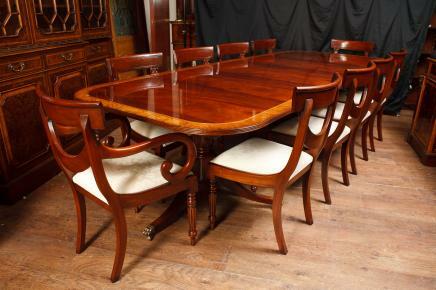 Gorgeous antique mahogany Regency dining set. 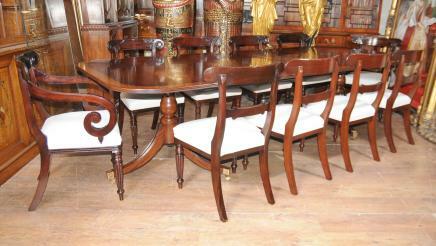 Such a sumptuous set of table and chairs in mahogany. 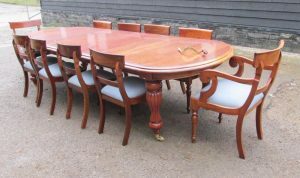 Regency pedestal dining table has extra leaves so you can extend it. 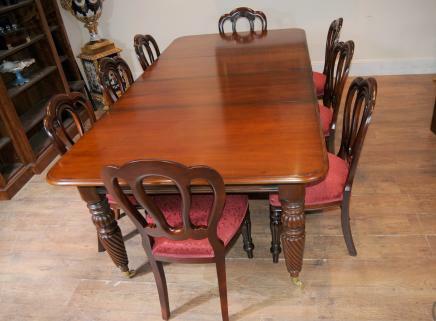 Gorgeous flame mahogany table top with satinwood banding. This antique Regency dining set is available to view in our North London showroom so please get in touch make an appointment. 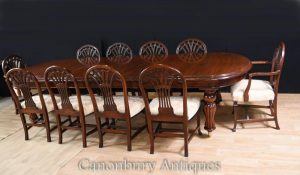 – Chairs are solid and chunky, very comfortable, perfect for boozy dinners!